One of the hardest parts of this journey is learning how to eat out. The reality is, most dishes are going to have at least one or two avoid foods. So unless you have health issues like I do that prevent you from being able to incorporate a few cheats every now and then, the rule of thumb I have my husband follow is 80:20. What does this mean? It means that as long as 80% of what is on his plate is on on his beneficial and allowable blood type food lists, he can eat it. So for my blood type A husband for example, it would mean that he might order a Southwestern Salad without tomatoes and ask for the dressing on the side. The dressing is going to be the avoid and he would use it sparingly. He would not however cheat with a steak. My husband loves spicy food and all peppers are out according to his blood type food list. His biggest cheat is probably spicy sauces. For my O self, my biggest cheat is safflower oil. Now this is generally an at home cheat because the rice crackers I get at Trader Joe's are made using safflower oil. When I eat out, I find I typically eat around the avoid foods. So how in the world does one go about the hustle and bustle of a typical crazy, busy American life and stick to eating for blood type? Well, it takes practice and a little planning ahead in the beginning. 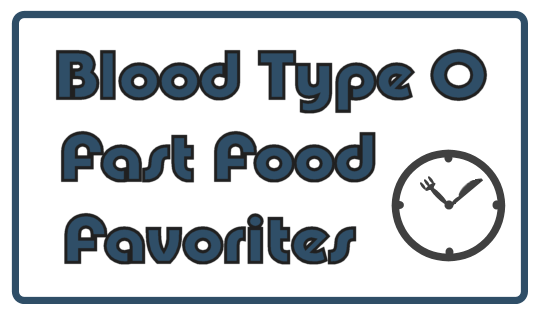 In time, it becomes easier to know what types of restaurants are best and what dishes are typically the best suited to your blood type. 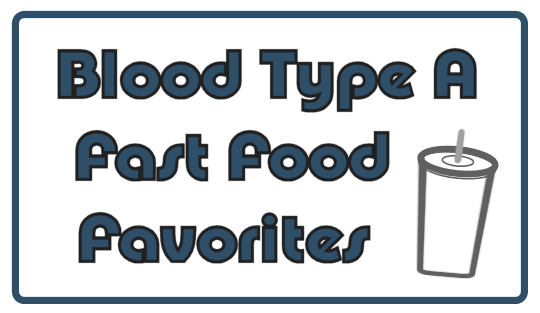 To help you, I created a restaurant/ fast food guides for both blood type A's and O's. Here's a few examples of what you'll find on the list. Hopefully these lists will help you when you're trying to stick to the blood type diet on the go. I will be continuing to add to them so check back from time to time when you're ready for some more suggestions. Why compromise on your health, when you have the doctor recommended cb1 weight gainer pills, formulated solely for people like you and me. Velez, V. (n.d.). Phen375estudios científicos: El Pastilla Natural Para Adelgazar. Retrieved November 8, 2018, from https://adelgazaroficial.com/phen375/.